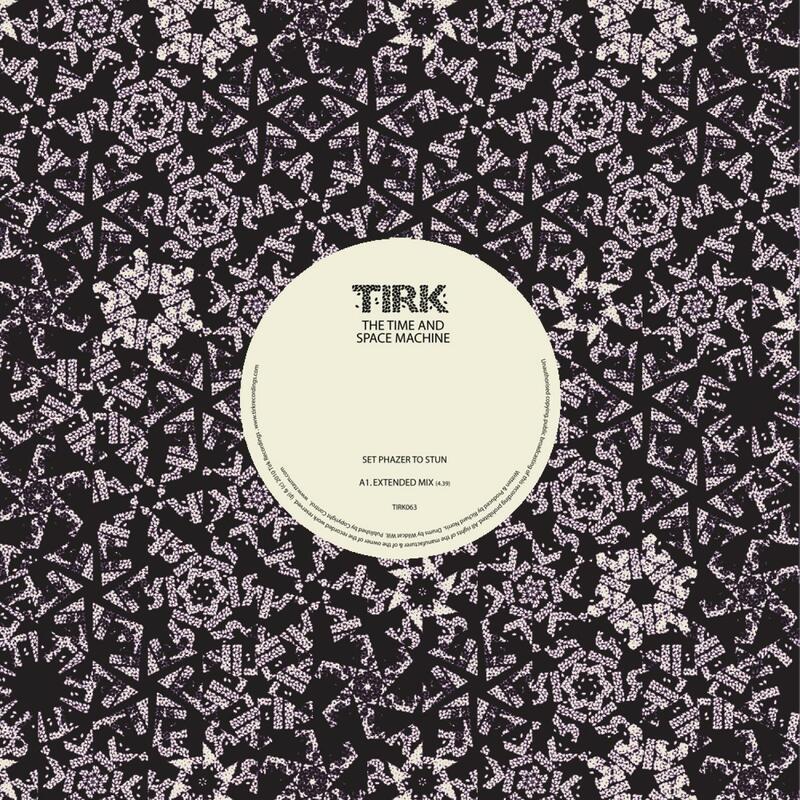 The recent Time And Space Machine album released on Tirk caused quite a stir. Received by fans, press and pundits with a bright glowing prodigiousness, we just had to have one final foray into the 12" single department. The album’s title track 'Set Phazer To Stun’ was always a favourite with pulsating Krautrock influences, nicely melded with some dirt cheap Farfisa organ, freakbeat drumming and (of course) plenty of Phazer. For the single release Richard Norris extends the track and goes into rock meltdown; a special, vinyl-bonus version. In the remix department we head off to Italy for one of our favourite Italian’s, Bottin. His brief was 'take the Krautrock psyche soul of this song and Moroder it up'. That's exactly what our man has done. His version builds and builds into a swirling collage of crazy pads, burbling analogue basslines and Italian beats. London based Sioux City Boys Club sure have a catchy name and their production skill is right on the money too. They keep the kraut soul of the record but time-stretch it and meld it into a dancefloor nugget. Just to add even more layers of international, spaced-out dimension to the track, SCBC for good measure turn in a version with Russian Folk songstress, Sasha Rakhman, singing on it. Never say we aren't experimental! The Time and Space Machine start work on Album Two this winter. Until then enjoy the debut album and as ever watch the skies.